LOOK FOR THE GROUND HOG! Runners of all abilities from weekend warriors to Boston Marathoners are welcome to join Athletico and Coach Mark Buciak for a mid-Winter social run. Athletico's Ariel Wynne, PT will lead us in pre-run dynamic warm-ups and Coach Mark will have Winter Running Tips. DATE: Saturday, February 2nd, yes we will be looking for the ground hog! TRAINING PROGRAM RUNNERS OF ALL ABILITIES ARE WELCOME! 24 Week training program including plenty of hills& trills. Perfect winter program for all Spring marathons & half marathons. Or perhaps you just want to stay in condition and be ready for Spring. You and your friends are invited to Coach Mark's VIP Lounge on race day morning. All this and more just 2 blocks from the starting line. Space is limited so reply ASAP. Are you running this world famous race? Private Motor Coach from downtown Boston to Athlete's Village! You can stay on our bus which has a restroom for as long as you would like! On Saturday, April 13th in Boston's North End. Marathoners plus their friends and family are welcome. A healthy wonderful 7 course family style meal! record on Monday by completing his 39th consecutive Boston Marathon. Mark has run more Boston Marathons than any other runner from the State of Illinois in the 122 year of the race. was only 63 seconds slower than his first and his last mile of the race was his fastest mile. He had a surgery for a complete hip replacement at Northwestern Hospital only 4 months. Buciak has a 2:30:25 PB in the 1983 Boston Marathon and has run the last 13 Bostons with a cow valve in his heart. Coach Mark has completed 62 career marathons including 39 straight Boston Marathons. The only thing he loves more than running is sharing his passion and knowledge of running with other runners. Coach Mark has been training runners for over 25 years and is the only training program to have achieved a 100% completion rate for his marathoners (Chicago and Boston Marathons: 2007- 2017 ). He specializes in coaching charity runners. Helping them achieve their running and fund raising goals. 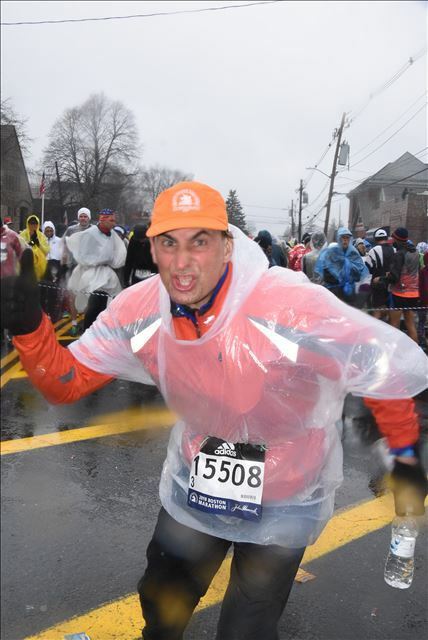 Coach Mark has completed 62 career marathons including 39 straight Boston Marathons. The only thing he loves more than running is sharing his passion and knowledge of running with other runners. Coach Mark has been training runners for over 25 years and is the only training program to have achieved a 100% completion rate for his marathoners (Chicago and Boston Marathons: 2007-2015). He specializes in coaching charity runners. Helping them achieve their running and fund raising goals. 100K Lifetime Miles and Winter Running and "The Flying Finn"